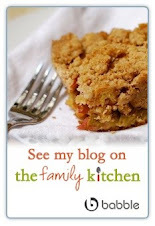 Don't forget to check out all the great things on Babble's The Family Kitchen this week! What's Going on Today: Preschool orientation. Pay attention! Naptime Goals: Prepare Eggplant Parmigiana, put significant school dates in my calendar. Parenting Lesson of the Day: Even if you don't think they'll ever learn their manners, trust me, they will. While she's at school I'll be in the kitchen. Like naptime, her school time is my downtime. I'll have plenty of time to cook, photograph and write about tons of interesting recipes and food. I'll treat myself to our old favorites, and I also look forward to experimenting with new, interesting methods and ingredients. This way, after she takes her post-school nap (more downtime for me! ), dinner will be all ready in the fridge and we can be together for the rest of the day. Since there is enough change taking place this week, today I am returning to an old favorite. My very first post was about Eggplant Parmigiana (check out the awful photograph!) It is one of my most favorite warm fall casseroles and this week is the perfect occasion for bubbly, cheesy comfort food. Here you'll see that I prepare it while she's napping (and in the future could do it while she's at school), and then leave it in the fridge until it's ready to bake. I've updated my old recipe, using new techniques for preparing the eggplant, eliminating the use of breadcrumbs, and using only fresh mozzarella for the best possible taste and texture. As you'll see, the casserole comes together beautifully during the day and is perfect to have at the ready for dinner. As we get into the school rhythm I'm sure this is something we'll be having again and again this fall. I am looking forward to it. 1. Preheat oven to 350ºF. Lightly oil a 13x9 baking dish and set aside. 2. Remove the tops off each eggplant. Slice eggplants into disks that are about 1/4" thick. Place disks into a colander or on a thick layer of paper towels in a single layer. Sprinkle a little bit of Kosher salt on both sides of each disk. Place a clean paper on top of the eggplant layers. Place something heavy, like a tea kettle full of water, on top of the eggplant and let it rest for at least 20 minutes. 3. After eggplant have had a chance to "sweat" dredge them in flour. The best way to do this is to spread the flour out on a plate so that the disks can easily be flipped and shaken. After dredging each slice in flour shake them a little bit so there aren't big clumps of flour on them. Then place them on a plate next to the stovetop. 4. In a large skillet heat 4-5 T. olive oil over high heat. Just before it starts smoking add the eggplant a few slices at a time. Turn the heat down to medium and cook for about 2 minutes per side, or until golden brown and crispy. Remove the eggplant to a plate with a paper towel on it. Allow the eggplant to drain. Repeat procedure until all eggplant is cooked. 5. Smear a few tablespoons of tomato sauce on the bottom of the baking pan. Arrange eggplant slices on the bottom in one layer. Top each slice with a dollop of tomato sauce, a few pieces of shredded mozzarella, a pinch of basil and pinch of Parmesan. Repeat this procedure with a second layer of eggplant until all slices are used. Finish with mozzarella, basil and remaining Parmesan. 6. Bake for 30-35 minutes, or until cheese is melted and sauce is bubbly. Naptime Serving Ideas: This casserole begs for hearty sauce and thick, flavorful eggplant. Be sure to pair it with something light and crisp, like a green salad or haricot vert. Naptime Stopwatch: Preparing the casserole takes about 30 minutes, then dinner is ready for two nights! Naptime Reviews: My daughter is slowly coming around to eggplant, but she loves the noodles! What's Going on Today: Scheduled teacher visit from school. Library to return books, playtime with friends. 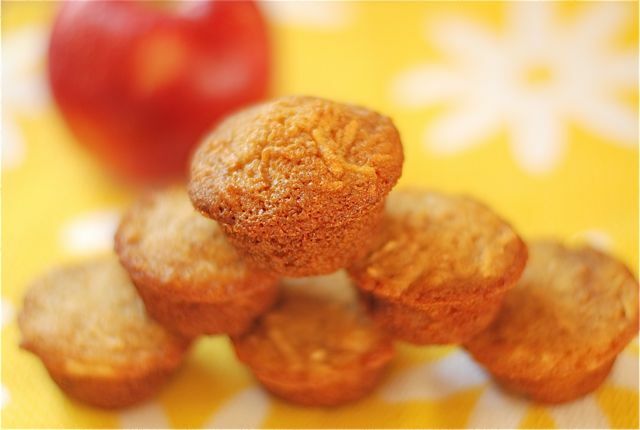 Naptime Goals: Prepare ingredients for Apple Snack Muffins, clean house to prepare for visit. Tonight's Menu: Meatballs for Choir Boys, Green Salad, Garlic Bread, Apple Muffins. Parenting Lesson of the Day: You can't wait for them to start school, and then they do. When her teacher called the other day to schedule a home visit it really hit home. I have a preschooler. I know I have many years to look forward to with her living at home, but I can't quite believe our time together with zero obligations has drawn to a close. For almost three years we have been together from sun up to sun down, no nanny, no cleaning lady, and only a few babysitters here and there. It's been the just two of us and we've become quite a team. With the book underway and other projects up my sleeve it is probably a good time for school to start. She needs more stimulation then just off-key singing with Mom and time at the playground with the neighborhood kids. I'm sure she'll excel at all of the singing, jumping and arts & crafts activities they throw at her. But I'm still going to miss her. After three years of non-stop time together nobody knows all of her as well as I do. And, I venture to say, she's gotten to know me pretty well, too. Sometimes, I think, the best way to cope with change in the air is to bake. In this case, with the teacher due to arrive the following the day, my daughter and I decided to make some snack muffins to give to her. I mixed up most of the batter during naptime then let my daughter add the shredded apple and put them in the muffin tins when she woke up. We popped them in the oven to bake, then let them cool all afternoon. The following day the teacher came and the kiddo served them to her on a paper napkin with the letter "B" printed on it. The teacher's last name and our last name have the same initial, a coincidence we loved. The rest of our visit was easy and fun. Together we remarked on the delicious chewy texture, intense apple flavor and slight punch of cinnamon in each bite. They set the tone for what I hope will be a wonderful year. 1. Preheat oven to 350ºF. Butter a 12 cup mini-muffin tin. You will bake with this twice. 2. Beat together sugar and butter until light and fluffy. Add the eggs and continue to mix until completely combined. In a separate bowl, sift together the flour, baking soda, baking powder, cardamom and cinnamon. Then, add it to the wet ingredients with the mixer on low until flour is completely incorporated. 3. Add in the apples and vanilla and mix through. Scraped down the sides of the mixing bowl. 4. Fill each muffin tin until 3/4 full. Bake for about 25-30 minutes, or until the tops of the muffins spring back when touched. Cool on a wire rack and serve. Naptime Serving Ideas: I've made this before as Apple Bread and it is delicious either way. 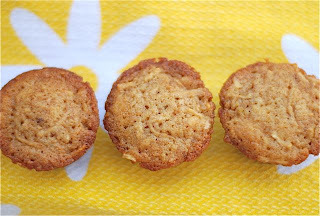 These muffins will be perfect for packing in her lunchbox and I plan to do so this fall! Naptime Stopwatch: Preparing the batter takes 20 minutes, tops. Naptime Reviews: My daughter loved the small size of these, they were prefect for her fingers. My husband loved them, too, he indulged happily after dinner. Check out all the fun stuff on Babble this week! 1. The Educated Consumer: What Does Heirloom Mean? 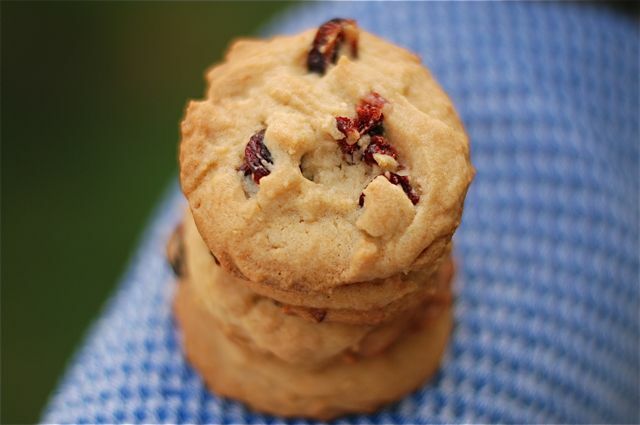 Naptime Goals: Prepare dough for Cherry & Cream Cookies, test two recipes for the book. Tonight's Menu: Two book recipes (I can't tell you which ones! ), Caesar Salad, Cherry & Cream Cookies for dessert. Parenting Lesson of the Day: I don't think she understands what I mean when I say "you are starting school next week," but she seems excited about it. There is nothing I love more then stumbling across a recipe that grips me with such excitement I shift around my schedule to make it straight away. I am doing a lot of cooking during naptime these days, since I am hard at work on the book, but I still need to make room for spontaneity. Last week I was studiously reading my new issue of Bon Appetit and came across an article about Christina Tosi, the pastry chef at Momofuku Milk Bar, and her indulgent recipes. With words like Crack Pie, Chocolate-Malt Cake and Blueberry & Cream Cookies springing off the pages it was all I could do not to drop everything and make all three right then and there. I love desserts like these, ones that are unfussy and indulgent with a child-like quality, and I was thrilled to see that someone at such a high-end restaurant shared this sentiment. Here you'll see that I decided to do a riff on Tosi's cookie recipe, using dried cherries instead of blueberries. I also opted to make it more Naptime Chef-friendly, cutting the chilling time by two-thirds. Of course, if you want to chill the dough for 24 hours or more, feel free to do so. I decided to work with my usual time table, mixing dough during naptime and baking it after my daughter went to sleep. I could have, however, waited to bake them the following day at naptime if I'd preferred. Tosi's recipe calls for a few large cookies, but I like small drop cookies for home eating. I played with the baking time to compensate for the smaller cookie size and it worked like a charm. The speed at which these disappeared from the OXO Good Grips container on my kitchen counter has to be a record-breaker for my household. The chewy texture and smooth milky taste was so unique all three of us went nuts. Each cookie perfectly encapsulates the flavors of cherries, cream and butter. My daughter is a berry nut and kept asking begging and pleading for more, often negotiating them as a reward for my requests that she pick her her toys and use her "indoor voice." I couldn't blame here for trying, we all were looking for excuses to have just one more. 1. For the Milk Crumbs: Preheat oven to 275ºF. Line a large jelly roll pan with parchment. Combine milk powder, flour, sugar, cornstarch and salt in a medium bowl. Toss evenly to mix. Add the butter, stir it with a fork until clusters form. Spread the mixture evenly onto the prepared sheet. Bake for about 10 minutes, or until crumbs are dry and crumbly, but still pale. Allow to cool on a baking sheet. 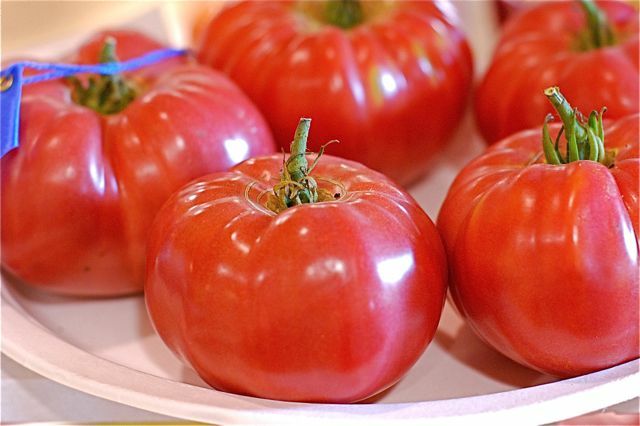 These can be stored in an airtight container at room temperature for up to 1 week. 2. For the Cookies: In a mixer fitted with a paddle attachment combine butter, sugars and corn syrup. Beat on medium-high speeds until fluffy and pale, occasionally scraping down sides of bowl, about 3 minutes. Add the eggs, beat on medium-high until mixture is very pale and sugar is dissolved. About 10 minutes. Add flour, baking powder, baking soda and salt, beat on low speed until just incorportaed. Add Milk Crumbs, beat again until just incorporated. Stir in cherries with a spatula until evenly distributed. Dough will be sticky! 3. Wrap dough tightly in plastic wrap and store in the refrigerator for up to 48 hours. 4. Preheat oven to 375ºF. Line two jelly roll pans with parchment or silpat. Drop by round teaspoonfull onto baked sheets and bake cookies until golden and just set in the center. About 10-13 minutes. Transfer cookies to racks and cool completely. Naptime Recipe Ideas: These would taste great with dried blueberries, per the original recipe, or chocolate chips. 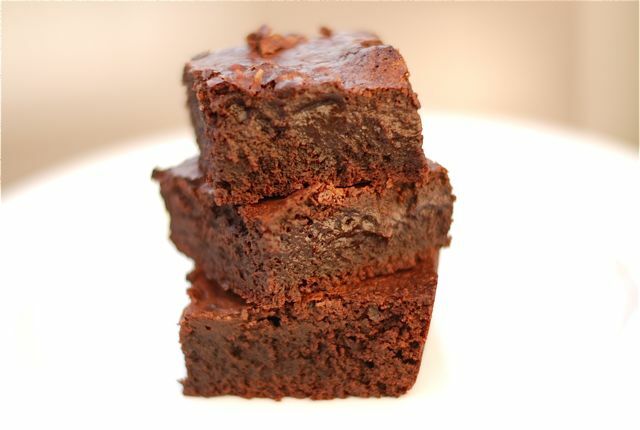 They can also be made in the larger sizes per the original recipe if you want to go all out. Naptime Stopwatch: Making the Milk Crumbs takes about 14 minutes. Making the batter takes about 20 minutes. Naptime Reviews: These truly unique cookies were the hit of the block. I gave some to neighbors and my husband's co-workers, they adored them. What's Going on Today: Reminiscing about vacation in Cooperstown earlier this month. Organizing daughter's fall wardrobe! Naptime Goals: Start ironing labels into daughter's clothes. 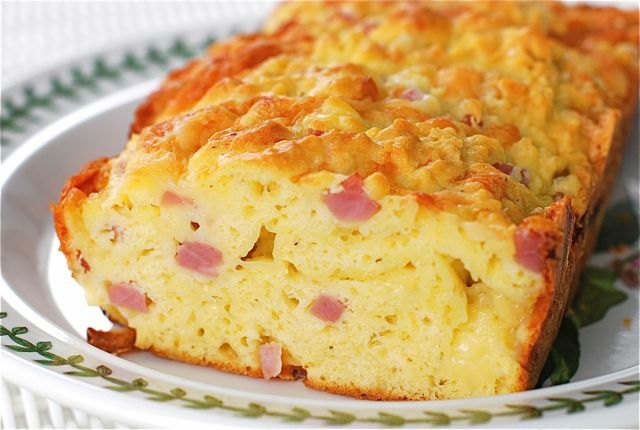 Bake loaf of Savory Ham & Cheese Bread. Tonight's Menu: Savory Ham & Cheese Bread, Caprese Salad, White Wine. Parenting Lesson of the Day: The fashion philosophy of a toddler: "More is more." Leave it to my Mom to introduce me to a new bread that I want to make, and eat, every single day for the rest of my life. As some of you might know, my mother is a total Francophile. She even went so far as to ask my daughter to call her Grandmere. It didn't work - my daughter calls her something that might resemble an abbreviation - but she got her point across. There is no French lineage in the entire history of our family, but that doesn't mean we can't pretend. Of course, the best way to pretend to be French is by eating the food. According to my Mom this savory ham and cheese bread would be the centerpiece of a French country lunch. A fresh loaf paired with a platter of fresh tomatoes and pitchers of citron presse, this would comprise a wonderfully simple summer meal. I don't know if this is true or not, I've never stayed in France for more than five days at a time, but I'll take her word for it. It certainly worked for me when we had lunch in Cooperstown. Not only is this bread easy to bake during naptime, it really does make up the perfect snack or light summer meal. I love it's dense chewy cheesiness studded with salty ham. I found that toasting it made it taste similar to a gourmet slice of grilled cheese. It's pebbly texture is also very appealing, giving it a rustic quality befitting the style in which it should be enjoyed. I've seen breads similar to this in baskets at fancy restaurants, but I think I'll think with eating it the French way. On the back porch, for lunch, with Mom. 1. Preheat oven to 350ºF. Butter a loaf pan generously with butter. 2. In a large bowl, whisk flour with baking powder, salt and pepper. 3. In a medium bowl lightly whisk the eggs, then whisk in the milk and olive oil. 4. With a spatula, fold the wet ingredients into the dry until just mixed. Fold in ham and cheese. 5. Pour batter into loaf pan and smooth the top. Bake for 40-50 minutes, or until a cake test comes out with a few crumbs attached. 6. Cool loaf in the pan on a wire rack for 5 minutes. Then, turn it onto the rack and cool completely. Naptime Serving Ideas: This bread tastes best when served warm. I am always able to give my daughter a slice to try after she wakes up from her nap. It also keeps well in the fridge when wrapped tightly. Naptime Stopwatch: Making the batter takes about 20 minutes. Baking time is 40-50 minutes. Naptime Reviews: This is a hit with adults and children. My daughter still seems to pick the ham out of the bread sometimes, claiming she doesn't like it, but eats it on other occasions. Oh well, you win some, you lose some. 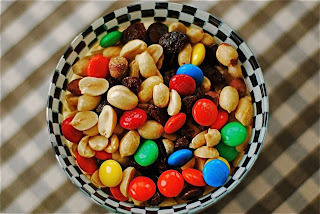 It's back-to-school week on Babble! Don't forget to stop by and check out all of the great posts on packing nutritious meals for your kids! 1. Cooking, for Parents: 5 Ways to Be a School Day Chef. 2. 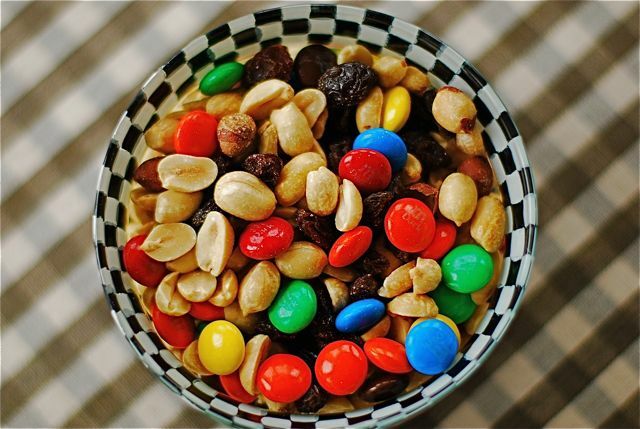 GORP: The Classic Snack Packs a Nutritional Punch. 3. Webisode Wednesday: Tamra Davis Cooking Show Lunch Episode. 4. 5 Tips for Packing Healthy Lunchbox Beverages. 5. Tilapia Fish Sandwich for Labor Day.